Australia’s largest online and mail order garden supplier, Garden Express Australia leads the way in helping our customers create beautiful gardens. From our garden to your door – our easy to use ordering system takes all the fuss out of planning your garden. The beauty of Garden Express is that you will find all of your garden needs in one location. 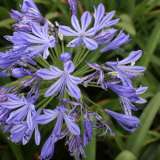 Our range includes flowering bulbs, landscaping trees, shrubs and ground covers, indoor plants, bonsais and succulents, roses and edible produce plants and seeds (according to the seasons) plus quality gardening tools and accessories. Garden Express offers a huge selection across all varieties and across all seasons, that caters for all garden types, be it a small patio garden, all the way through to sprawling parkland.